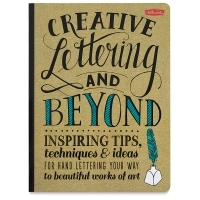 Covering a variety of styles and types of lettered art, including calligraphy, illustration, chalk lettering, and more, Creative Lettering and Beyond offers a plethora of exercises to help readers develop their own unique lettering style through engaging, easy-to-follow, step-by-step projects, prompts, and exercises. After a brief introduction to tools and materials, the book begins with easy concepts such as the basic shape and form of letters, spacing, and alignment. From there, readers soon find themselves transforming simple words, phrases, and quotes into beautiful works of hand-lettered art. 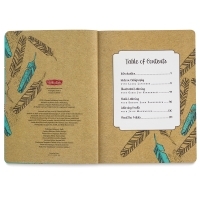 The interactive format offers inspirational instruction for a wide variety of fun projects and gift ideas, including hand-rendered phrases on paper and digitally enhanced note cards. Readers also discover how to apply lettering to linen, coffee mugs, calendars, and more. 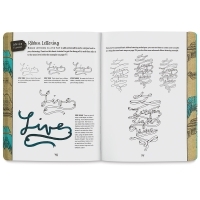 Numerous practice pages and interactive prompts throughout the book invite readers to put their newfound lettering skills to use, as well as work out their own artistic ideas. Authors — Gabri Kirkendall, Laura Lavender, Julie Manwaring, and Shauna Lynn Panczyszyn. Paperback. 144 pages. 8¾" × 11¾" (23 cm × 29 cm). 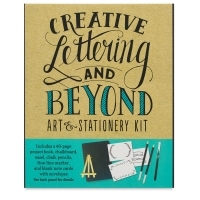 Creative Lettering and Beyond Art and Stationery Kit — Everything you need to create beautiful hand-lettered works of art and personalized note cards. 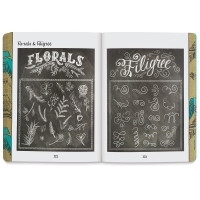 The kit includes a 40-page project book, a chalkboard and easel, two chalk pencils, a fine-line black marker, and five blank note cards with envelopes. 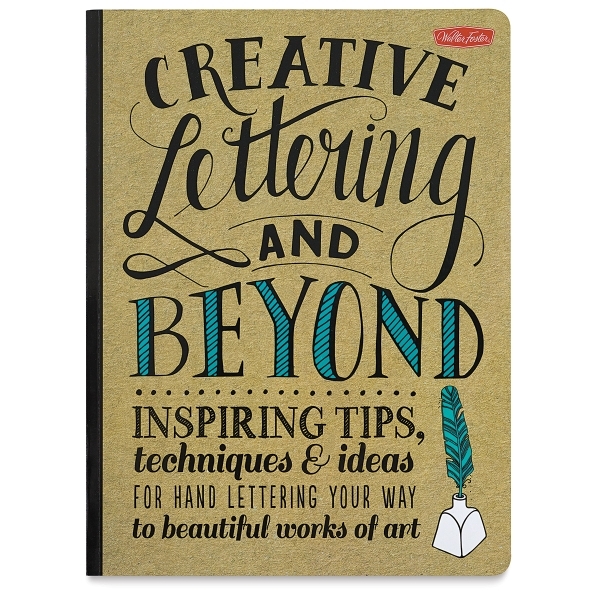 Enjoy hours of lettering fun with a variety of step-by-step projects and inspiring ideas. 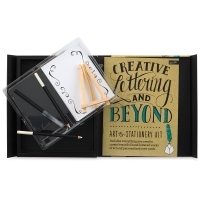 The items come packaged in a hardcover case, making the kit a great gift for any aspiring lettering artist.